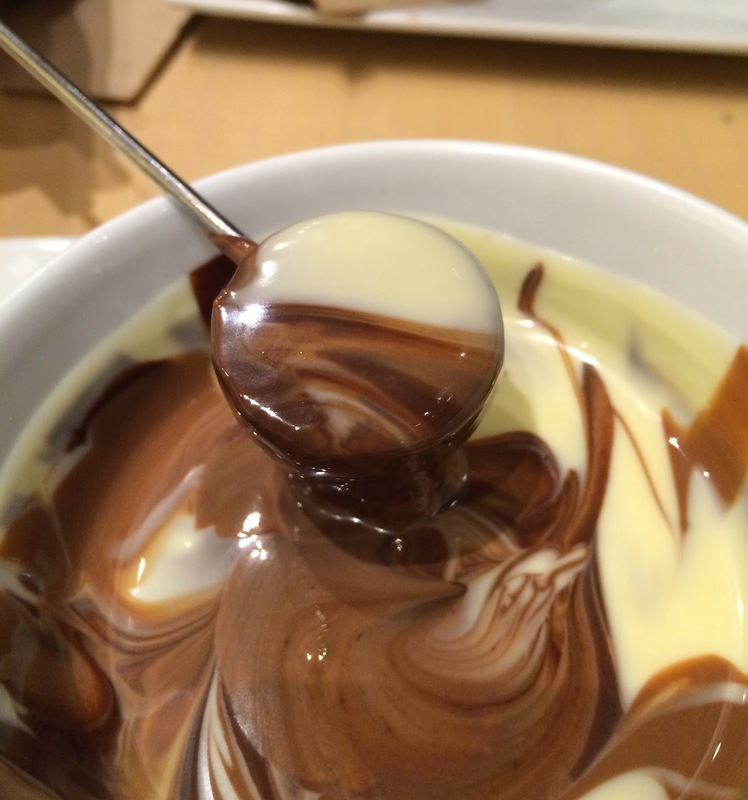 Besides The Viennese Chocolate (my husband got Milk Tanariva), we had chocolate fondue. 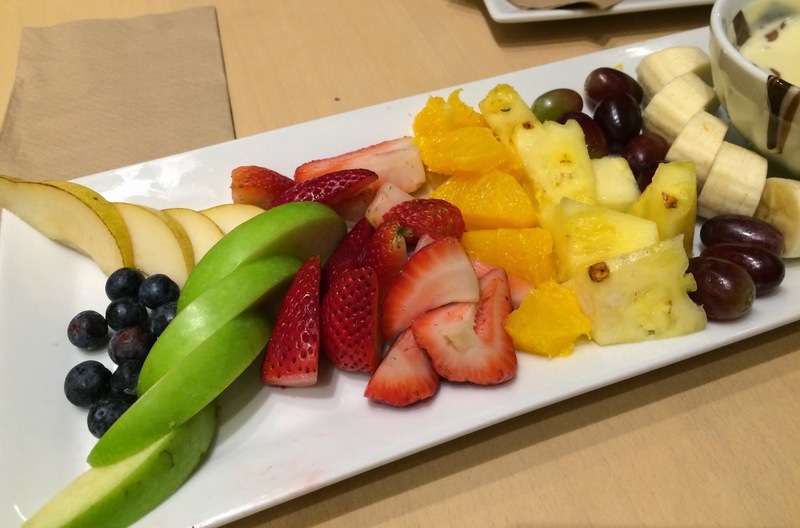 There're 2 kinds, The Fruit Plate and The Juliette & Chocolate Plate, and we chose fruits. Also there're many kinds of chocolates to choose from; extra bitter, bitter, milk, white, chocolate and hazelnut praline, white chocolate and maple syrup, and chocolate trio, and we got a chocolate trio, which is dark, milk and white. Fruits were blueberries, pears, green apples, strawberries, oranges, pineapples, grapes and bananas. 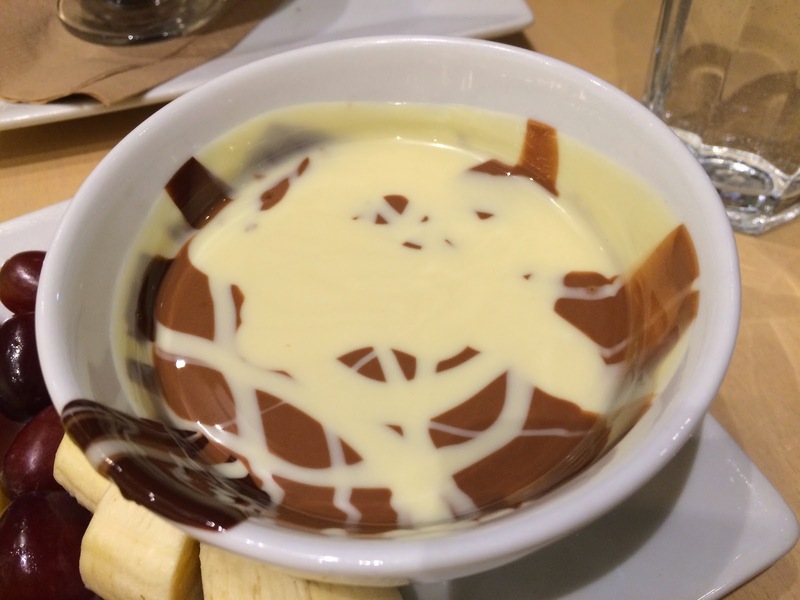 The chocolate wasn't heated with a fire underneath, but it's a bowl of melted chocolate. 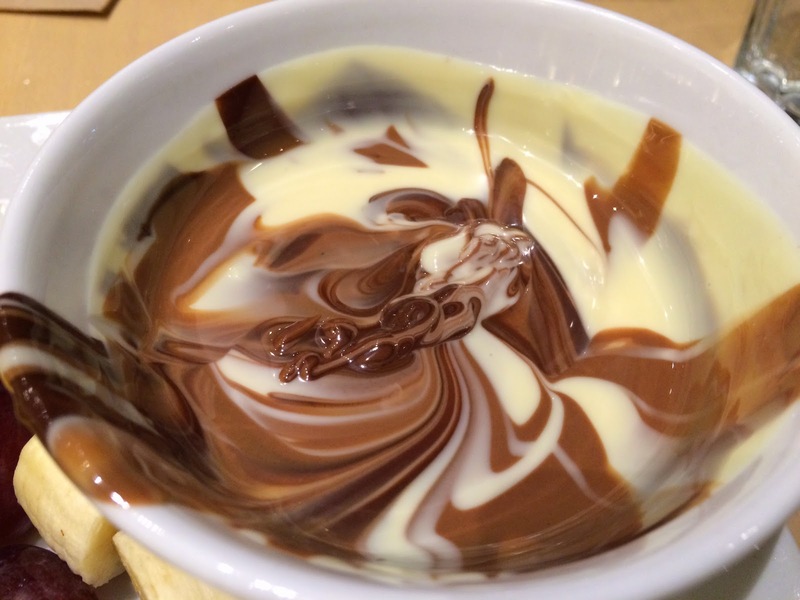 The bitter chocolate was at the bottom, and every time we dipped fruits, the marble pattern was different. To be able to try many kinds of fruits was great, and the trio went well with sour to sweet fruits.